Which Dentures are Best for You? Adult teeth are meant to last a lifetime, but that doesn’t mean they always do. Injury, illness, and decay can all lead to teeth falling out of or being removed from the mouth. If you are living without a full set of teeth, you understand how frustrating and even embarrassing it can be. You may find that it’s difficult to eat certain foods, and you may become uncomfortable in social situations. Fortunately, there are a number of reconstructive methods available to restore the function and appearance of your mouth. Dentures, for instance, are available in three different forms to meet the needs of any dental situation. If you aren’t ready for the commitment of implants or do not qualify for implants due to health complications, dentures can restore the look and function of your mouth. There are options to choose from at Find a Special. Which one will work best for you? Complete dentures are devices that realistically mimic the gums and teeth of your mouth so that you can enjoy the natural appearance and use of a full set of teeth, even if all of your real teeth have been extracted. They are designed to stay in place by forming a seal with the gums, and they can be removed at any time. Implant supported dentures are complete dentures that attach directly to implants in the mouth instead of resting along the gumline. Implants are small titanium screws that are inserted into the jawbone to support the bone and provide a permanent foundation for dentures. The process of receiving implant supported dentures takes a few months, since each step of the process must be done and given time to heal before the next step can begin. Many patients prefer implant supported dentures because they do not risk slipping around the mouth like standard dentures. They also tend to make chewing and speaking easier, which in turn boosts confidence and overall oral function. Unlike complete dentures that replace all teeth in the mouth, partial dentures replace a smaller number of teeth using the same type of device. A small base is formed to match the gums, and the denture teeth are held in that base. 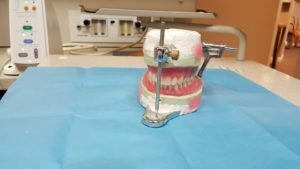 There are a few different methods to keep partial dentures steady in the mouth, and they can be permanent or removable. Whichever type of dentures you choose, there is no doubt that regaining a full set of teeth will transform your quality of life. 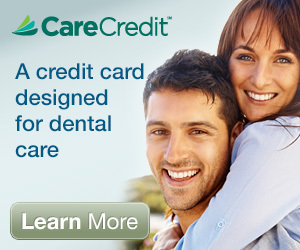 Call (727) 321-4464 to make an appointment at Obrochta Center For Dental Health in St. Petersburg, Florida. Dr. Obrochta is a specialist in the art and science of cosmetic dentistry, so he will help you use dentures to create a smile you are proud to show. Dr. Obrochta is a specialist in the art and science of Cosmetic Dentistry. He currently belongs to the American Dental Association, the West Coast Dental Association, the Pinellas County Dental Association, and is a founding member in the prestigious American Academy of Cos-metic Dentistry. He is an active member in numerous study clubs featuring state of the art techniques and materials in delivering advanced cosmetic care.